The Mamie R. Mine located near Cripple Creek; Colorado has a very unique history. Some believe this mine was shut down as a direct result of malicious tommyknockers. In a previous post here, I described what mine tommyknockers (mine spirits) are and miner’s belief in them. What is unusual about the tommyknockers at the Mamie R. Mine is they were not the typical “knocker” that was helpful or at most mischievous. Instead these knockers seemed to have an evil intent. The Mamie R. Mine is considered one of the most haunted mines in the west. In addition to this haunted history the original Welsh, Cornish and Irish miners who worked in this mine's tunnels were very superstitious and they believed that a series of cave-ins were most likely caused by tommyknockers. 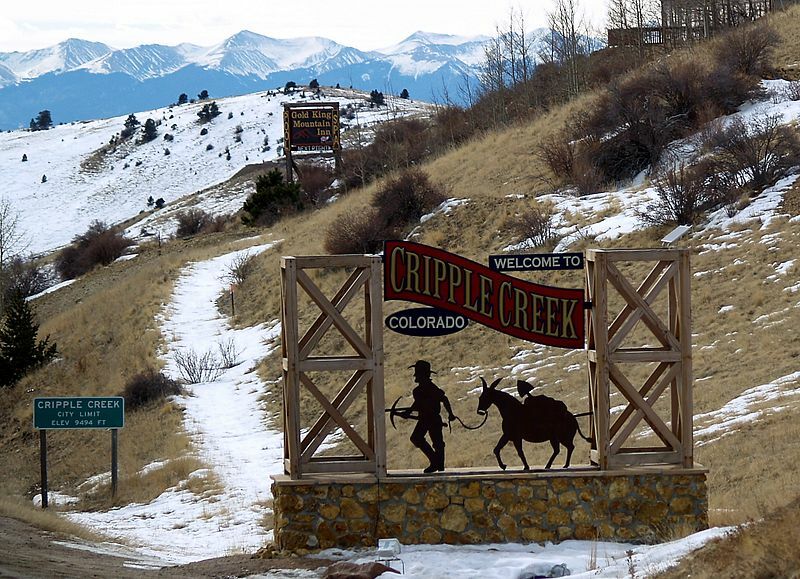 Unfortunately, there are gaps in this history because the Mamie R. Mine was shut down the year before the census started being taken in Colorado. The miners that worked in the Mamie R. Mine felt that the knockers they heard *—using their hammers or talking in the distance—were for some reason out for revenge. When these knockers were heard it so terrified the miners they left the Mamie R. and refused to work there again. Legend states this is why the Mamie R. Mine was forced to close down operations but this is not accurate—at least not at the beginning. The Mamie R. Mine after losing its’ original crews lured less superstitious miners, that had the desire for wealth, into it’s tunnels. Soon after, unusual accidents started to happen. Two of these accidents resulted in the mine being haunted. One day a miner by the name of Hank Bull heard a voice of what he thought was a small boy coming from a newly dug tunnel that was still unshored. ** He headed down this tunnel—ignoring fellow miners' warnings—in search of what he thought must be a lost child. After a few minutes the miners heard Bull’s scream. As they rushed to the tunnel entrance the unshored ceiling collapsed on Bull, killing him. The story of this accident spread quickly and several miners left to work in “less dangerous mines”. This left the Mamie R. Mine with a very small crew. The few miners who remained started to report hearing voices and whispers in areas where no one was. Several saw a dark shape pass them only to see it disappear as they watched. At this time another eerie occurrence that was happening involved the mine’s windlass. A windlass is a support that along with a rope is used to lift a bucket filled with ore, rocks and/or men out of the mine. Attached to this windlass was a bell that was rung to alert men at the top that the bucket was ready to be pulled up. 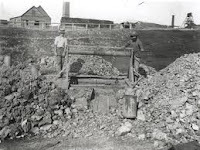 The miners would ring the bell three times to alert the men above that the bucket was full and ready to come to the top. Many times the bell would ring and the bucket was pulled up--only to find it empty. Shortly after Hank Bulls' death another accident occurred in November of 1894 that killed yet another miner. This accident involved the windlass. It was not uncommon for the bucket to fall when the ropes that secured it gave way but tragically this time the bucket fell on a miner’s head crushing his skull. What perplexed the miners and their bosses about this accident was the fact that they could find no logical reason why the bucket fell. The knot on the rope that held the bucket was still intact and tied tightly. After this second accident more specific sightings stared to be reported. Hank Bull started to appear in the deepest parts of the mine. Several of the miners who had worked alongside him reported seeing him in this area. The miner who died when the windlass hit him was seen in the bucket. Miners manning the windlass spotted his crushed head appear over the top of the bucket, he was then seen stepping out of the bucket just to disappear. This strange sight was witnessed more than once. In December of 1894 everything came to a head--literally. On Christmas Eve the mine flooded. So on Christmas day the miners were busy hauling out buckets of water. Three men where manning the windlass up top when suddenly it broke. But it did more than just break—it flew apart—pieces of it landed everywhere. When it broke the heavy bucket fell back down into the mine, one of the three men became tangled in the rope that was now loose. This rope tightened so quickly around his neck it decapitated him. This was the “last straw” for the miners that worked in the Mamie R. Mine. They were now all firm believers in the idea that the mine did indeed have malicious tommyknockers. Originally not superstitious they now believed these knockers were responsible for the deaths of the miners. These men left and no other miners would work in the Mamie R. Mine. In January of 1895 the mine shut down for good. * Some of the original miners also claimed to see these tommyknockers. ** An unshored mine tunnel is one that has not been secured with boards to hold the ceiling in place. 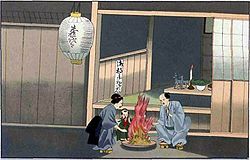 Since the Edo period in Japan (1600-1868) ghost stories have been an integral part of the Japanese Summer months. Both ghost stories and haunted houses abound today. Many Japanese films, television shows, and books that are released in the summer all reflect this interest in ghosts. But why are ghost stories so popular in the summer time in Japan? Another reason for the Japanese tradition of telling ghost stories in summer is much more practical. Telling ghost stories helps people cool down in the heat of summer. You may be wondering about this statement but it is true. When people become frightened by a good scary story it makes cold chills run up and down their spines. What? It is a scientific fact that when humans are frightened, the blood vessels on the surface of their skin contract, reducing the flow of blood which results in the lowering temperature of the skin. So in other words people can actually cool off when they become scared. So this method of using ghost stories to help overcome the summer heat is an example of good ancient Japanese wisdom. Modern day Japan of course has air-conditioning therefore there is no more need to use scary ghosts to help cool off humans. But with the Obon season the ghost story tradition is still rooted deeply in the Japanese summer culture. 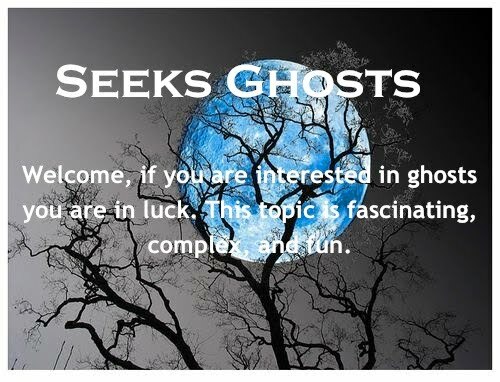 One newer tradition that has been added to this interest in ghosts is the development of some spectacular Haunted Houses. The Japanese are known to have some of the largest haunted houses in the world. These houses are what draw Japanese tourists to amusement parks in the summer. One popular haunted house is based on a hospital ward***. It spans 550 yards from entrance to exit. It takes 30 minutes to an hour to go through. Visitors are treated to eerie sick rooms, operating rooms, and of course a morgue. For visitors that become too frightened to continue the house provides emergency exists throughout the structure. The Japanese refer to these exits as “chicken ways”. As tourists wait in line, a common sight is to see others running out of these exits in a panic or in tears. Another popular summer theme park attraction is based upon an Inn from Hell. In this high tech haunted house visitors are given hand held devises that are sensitive to infrared rays. As they make their way through the house the devise triggers at various points startling them. Their pulse rates are measured at the entrance and exit—then their “cowardice level” is calculated and printed out for each visitor to keep. 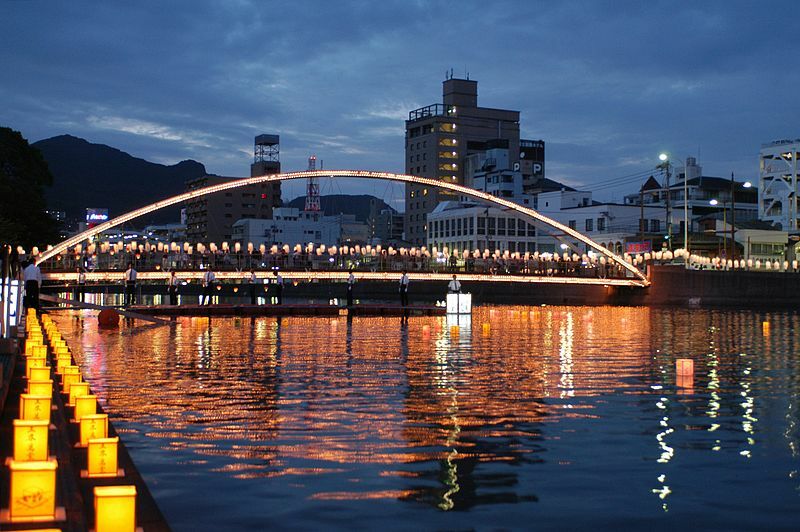 * Obon is one of three major holidays in Japan. Traditionally, lanterns are hung in front of houses to guide the returning spirits. During this ghost festival dances are performed and the Japanese visit graves and leave food offerings at home altars or temples. As Obon ends the Japanese place lit floating lanterns in rivers, lakes and the sea to help guide the visiting spirits back to their world. The Japanese do a lot of domestic traveling during Obon. ** In elementary and middle schools all over Japan students learn what is called the “seven mysteries”. Both Japanese books and films use these traditional ghost stories. Because of this they evoke a strong sense of nostalgia --this nostalgia plus a fright is a formula that has been cited as the reason for the success of ghost stories in Japan today. *** The Guinness Book of World Records states this Haunted Hospital is the world’s scariest. 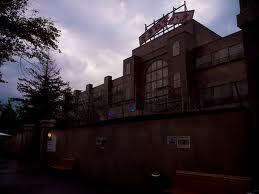 It is located inside the Fuji-Q Highland Amusement Park in Japan. 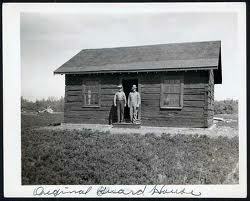 The U. S. Army first established an outpost on the eastern edge of what would become North Dakota in August of 1858. This outpost was named Fort Abercrombie after the Lieutenant Colonel who established it along the Red River. Unfortunately, the Lieutenant Colonel picked a spot that was prone to flood. His newly established outpost was washed away two years later. In 1860 the fort was rebuilt on higher ground north of the original site. The fort quickly became known as “the Gateway to the Dakotas”. Its main purpose was to guard the oxcart trails used by fur traders, the military wagon trails, the stagecoach routes, and the steamboat traffic along the Red River. 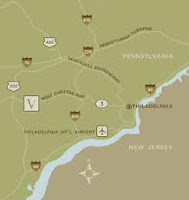 The fort was also the main supply hub for all the routes that led through the Northern Plains. First stagecoach arriving at fort. The soldiers at the fort also protected the local settlers by keeping the Sioux Indians on the west side of the James River. These Sioux were becoming more and more restless as they watched their land claimed by these settlers. In August of 1862 Sioux warriors attacked the fort. 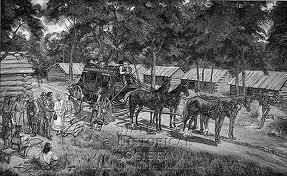 At this time the “regular” army soldiers had been withdrawn from the fort to fight in the Civil War. In their place, a smaller number of Minnesota Volunteer Infantrymen manned the fort. The Sioux besieged the fort for more than six weeks in what became known as the Dakota War of 1862. It is not known how many Indians perished but it is estimated that around fifty soldiers were wounded or killed. At the time of the attack the fort had neither blockhouses nor a palisade, which would have helped defend it. Despite these handicaps the soldiers prevailed and the war ended in late September. Shortly afterwards both of these defenses were built at the fort. In its last years in service Fort Abercrombie was charged with protecting the railroad that was being built, establishing peace among the local Indian tribes, and serving as a hub for all the mail routes in the area. By 1877 the fort was abandoned. Most of its building were sold at auction and removed from the site. 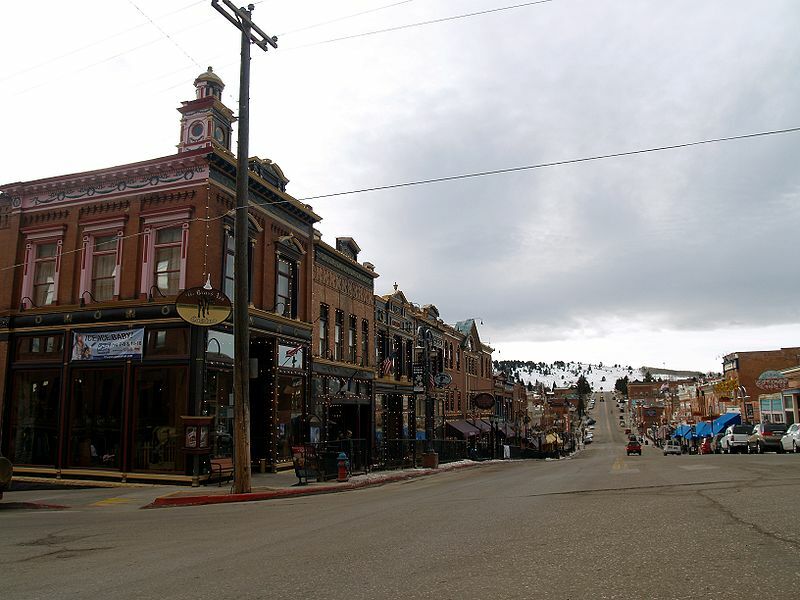 The town of Abercrombie, North Dakota was founded a half mile west of the fort in 1884. What was left of the fort lay in ruins until 1939 when the Works Progress Administration (WPA) reconstructed the fort’s blockhouses, stockade, and palisade wall. They also returned the original military guardhouse to the site. In recent years even more renovations of the site have been undertaken. Since the Dakota War of 1862—a span of 150 years-- there have been numerous reports that Fort Abercrombie is haunted. Many groups and individual witnesses have described full-bodied apparitions that have been seen around and near the fort. These ghosts of Sioux Indians and 19th century soldiers are seen wandering the area. More vivid witness accounts describe how these ghosts seem to be re-enacting battles from another time. 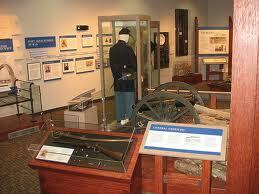 Today, visitors can tour the grounds of the old fort which is a designated state historical site. A small museum located a quarter of a mile east of the fort, is open five days a week from late May till early September, it chargers a minimal fee. Regional ghost stories are compelling. With each re-telling these stories become more and more real. This might be because the people who hear them can visit the place or places where they occur, which adds fuel to one’s imagination. The following is a good example of a local ghost story. In the 1950s Newton Square, Pennsylvania was a sleepy farming community. The local newspaper reported mostly items about dogs killing sheep or escaped cows. One December in the mid 1950s this local paper reported a particularly bad traffic accident. A local family driving home from Christmas services on West Chester Pike shortly after midnight were struck by another car. Unfortunately, this family—a mother, father, and their teenage son were killed instantly. It was determined that a young male driver who was drunk and driving recklessly caused the accident. He and his one male passenger survived the accident unscathed. The two were out late joy riding in hopes of finding more booze and a party. This young man’s family was well connected politically so he avoided persecution. It was stated this drunk driver felt no remorse for what he had done. In fact, he joked about the accident and the deaths he had caused on several occasions. An early Christmas morning, a year later, this man with the same friend in the car were out driving drunk and reckless—again on West Chester Pike.The 1938 Plymouth hot rod the young man drove overturned near the spot were they had hit and killed the family twelve months before. Both men were killed. This coincidence is spooky but what happened next is even spookier. Shortly after these two young men died officers from the local municipal and State Police started to report an unusual sight. 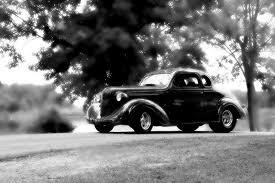 They all recounted seeing a ’38 Plymouth careening down West Chester Pike recklessly. When they attempted to pursue the vehicle they were not able to keep up with it. As the years passed these reports became even more interesting because to see a ’38 Plymouth hot rod on the road was no longer a common occurrence. Officers continued to report spotting an early model Plymouth speeding recklessly down West Chester Pike. The reports were all the same—they either couldn’t catch the hot rod or the car appeared to just disappear. The police even set up roadblocks in an attempt to catch this vehicle but it never appeared at the roadblock after being spotted heading in their direction. Many of the witnesses stated they often spotted the car in the early morning hours. It has been seen around Christmas but there have been reports of sightings at other times of the year. More recently, two officers did manage to pull alongside the speeding hot rod. They saw two occupants in the car. The USS Lexington (CV-16) an aircraft carrier served the longest during World War II. In fact, the Lexington was one of the longest serving aircraft carriers in the world, she served for 48 years. She was commissioned in 1943 and named after a famous Revolutionary War battle. She was decommissioned in 1991. Unlike most US Navel ships, the Lexington was not painted camouflage grey but instead she was painted a dark blue. During WW II the Japanese claimed they sank her several times. But in reality she was too heavily defended for this to have happened. The Japanese’s response to the American’s debunking their claims the ship had been sunk on four different occasions put their infamous radio propagandist Tokyo Rose on the air to state the Lexington must be a “ghost ship”. "She sinks beneath the deep blue seas each evening, all hands aboard, only to re-appear each morning on the horizon." The American sailors aboard the Lexington liked this nickname so much they dubbed their ship for the rest of the war “The Blue Ghost”. After WWII she affectionately became known as “The ship that couldn’t be sunk”. Ironically, in 1945 as the war ended the USS Lexington was the first foreign aircraft carrier to enter Tokyo Bay. The Lexington is known for several more “firsts”. In 1980, she was the first American aircraft carrier to have women stationed aboard as crew. She was the first aircraft carrier to be designated as a training ship, and starting in 1967 she was the first aircraft carrier to be used as a seagoing high school. The nickname, The Blue Ghost, took on a whole new meaning once the USS Lexington was decommissioned and anchored near Corpus Christie, Texas. After the ship was turned into a living museum and was opened to the public it became apparent this ship is haunted. Visitors are allowed to tour the ship independently. Over the years many of these visitors have thanked the ship’s tour directors for providing the very knowledgeable young sailor who guided them about the ship’s #2 Engine Room. The ship’s staff just smiles because they hear this complement on a regular basis. They have learned not to alarm their visitors by mentioning that there are no tour guides on the ship. The 200 plus visitors who have encountered the engine room guide all describe him in similar terms. This very nice handsome young sailor with bright blue eyes not only took the time to describe carefully the inner workings of the engine to us but he also showed us around the rest of the room. These reports are so common that the ship’s staff have dubbed this helpful ghost “Charlie”. Curious, the staff decided to do more research into the ship’s history. What they found confirmed what many visitors have seen. They knew that in 1943 a Japanese torpedo struck the USS Lexington near the engine room. Nine sailors were killed. They discovered one of the dead was the engine room operator a young handsome sailor who had blonde hair and striking blue eyes. This sailor was known for never leaving his post. When a photograph of him was shown to several visitors they stated that it was the young man who had given them the tour. Many visitors to the ship have also reported as they stand in the engine room they hear sounds of moaning and yelling as if they are right in the midst of a battle. The following is a video about the USS Lexington Museum. This next video is really fun, it has a great interview with a retired navel sailor who is a volunteer on board the Lexington. He has heard many reports of ghosts--including Charlie--over the years. This volunteer also has seen a ghost on the ship. This video also highlights an investigation on board the USS Lexington. I like the fact these investigators discuss being "respectful" and that they debunk things they hear--instead of jumping to conclusions. This video also highlights how EVP's should be done. Good job guys. Back in March of this year a news story from Brompton, South Australia—a northern suburb of Adelaide caught my eye. Three security cameras in an IGA (Independent Grocers Alliance) store captured a box of Fruit Roll-Ups seemingly flying off a store shelf past the pasta and landing on the floor in the next aisle at least 18 to 36 feet away from where it was placed. No one was in the store when the security cameras caught this phenomenon after 11:00 P.M. Norm Hurst, the owner of the store since October of 2011 was told by the previous owners that the store was haunted. His initial reaction was one of disbelief. But Hurst changed his mind when he walked into his store one Thursday morning back in March and surveyed what his security cameras had captured the night before. He was very surprised at the force with which the candy box was flung off the shelf. When questioned by the news media at what he thought was the cause, he was completely stumped. No reasonable explanation for the occurrence has been discovered but some speculate that the ghost that haunts the store caused the candy to fly over a distance of 12 meters (39 feet). The ghost is that of a boxer who was gunned down in 1998 on the sidewalk outside the store.